Apex Park Holiday Apartments offers discerning travellers premium self-contained accommodation in the heart of Wangaratta. 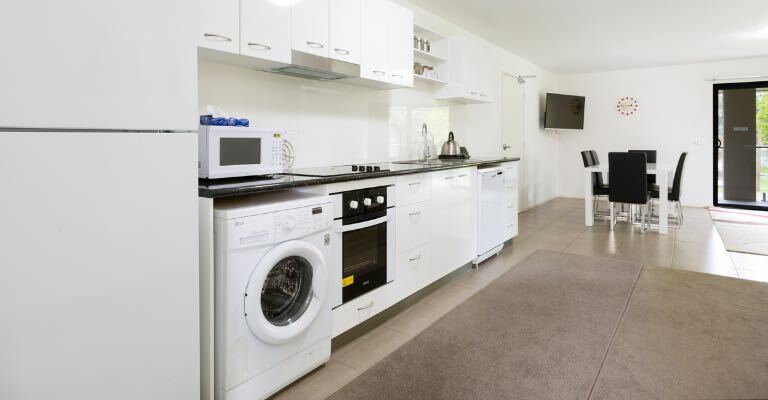 With bright, fresh spaces, modern furnishings and appliances and all the conveniences and comforts of home living, Apex Park is the only one of its kind in Wangaratta, offering business and holiday travellers a flexible and contemporary alternative to traditional motel-style accommodation. We welcome you to Apex Park Holiday Apartments. Our spacious 1 and 2 bedroom holiday apartments can sleep up to 4 or 6 people respectively, or we also offer an exquisite 4-bedroom penthouse configuration that accommodates up to 12 people. As the complex only contains 4 exclusive apartments, book now to reserve as they fill fast. We spent a weekend away with friends staying at the holiday apartments and could not have asked for a better place to stay! It was walking distance through a lovely park to the centre of town with some of the best dining areas on the river. Good hotel nice and clean, Very quiet and peaceful. Also I loved the Animals at the natural park, it was a lot of fun for me. The park was a lot of fun the big slide was excellent and fun for me. And your close to the town centre. Beautiful two bedroom apartment right on the river and a short walk over the footbridge into town. The rooms were spacious and comfortable and excellent value for money. Perfect for families, friends or couples holidaying together. What would you like to know about our accommodation?